Back in 2001, Claude and Matt O'Brien started NPR, followed by Pete Jeffreys, soon after they were joined by another group then a few others, "some guy who knows another guy" so in total around 8 riders which grew to 10 for the first 5 - 6 years. To begin with, the loops went up to the airport and were quite flat, the quarry didn't exist in those days so it was an easier ride. But they soon found that they weren't that good in the hills so they started looking at every hill that was about in Essendon area. 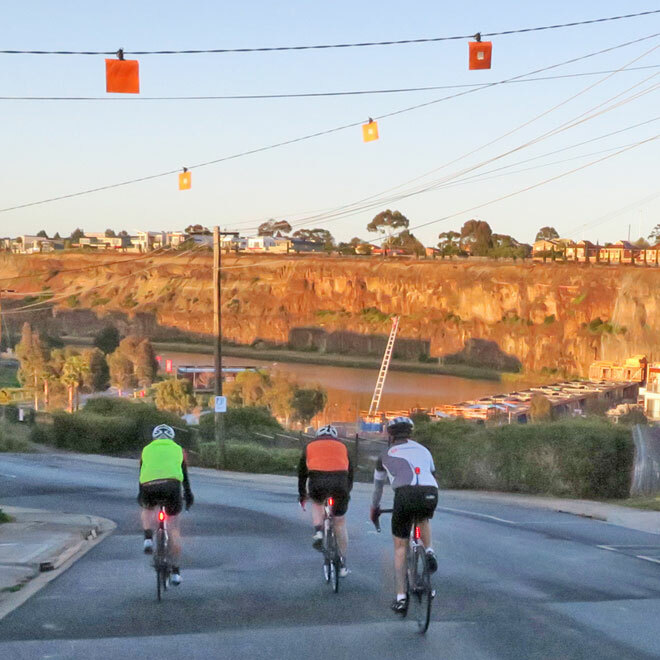 Initially, they went past St Bernards College (Beryl St) but found they were swerving to avoid cars backing out so the route was changed to Buckley St (the last hill before the coffee shop) with 2 -3 rides per week. One of the riders, Trevor, found the quarry and thought we can add this, there is a big hill out there so that's how the current loop started over 10 years ago. 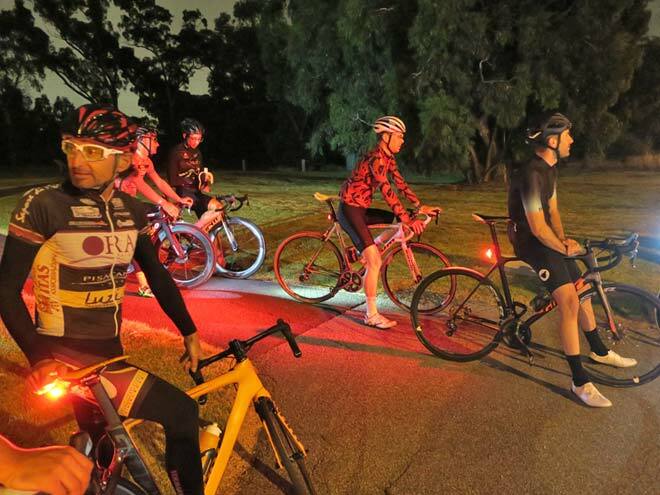 The Tuesday/Thursday Loop was added as as an extension based on Lawrence Blake's suggestion as he did a lot of riding around the back of the airport to Annandale for his A Grade training and thought this would make for a great loop, "he was our Pro rider". Now their sons have joined and they are the ones who kill us (laughing) including sons of friends. So, with the younger riders, they are ramping up the speed on Tuesdays/Thursdays so now there is a ride leaving 10 minutes earlier and for Claude it’s still a case of "hang on". Jokingly for Claude, the next step (no more time options) is retirement, more laughing, maybe an electric bike section, assisted riding! Some of the younger riders are very strong but still take care of the older riders, it's nice to see. 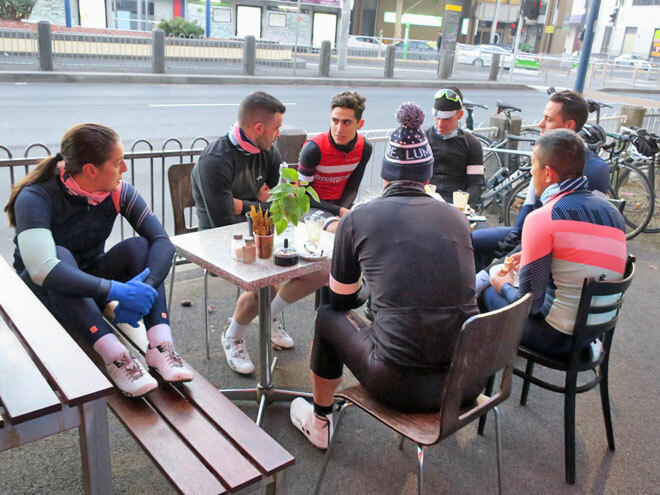 A few female riders have joined and they are fitting in really well, but when it comes to the coffee hill (Buckley St) it’s no waiting for anyone. 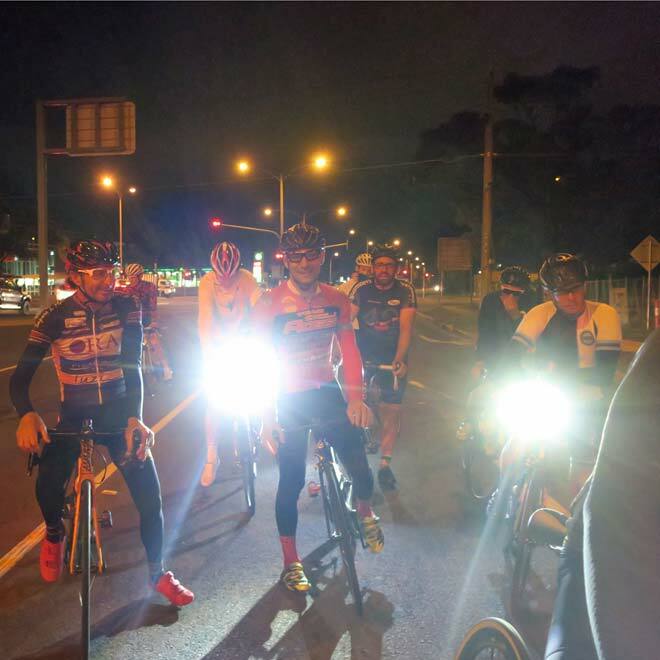 There is one re-grouping point on the fast Tuesday/Thursday rides so everyone gets back together. 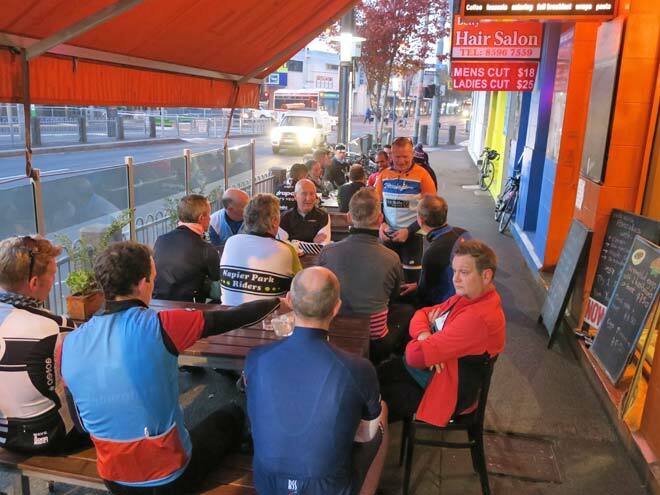 One of the riders recently had his 60th with his mates from the Napier Park Riders helping him celebrate with a host of different groups; people he grew up with, went to school with, work with and every bunch is part of his life. With NPR, how great it is to be part of the group, someone to talk to, the camaraderie, you can compete at your own level, the coffee afterwards, just love it. Claude went on to say it's like a mobile men’s shed; you get to talk about all sorts of things, what happens on the tour stays on the tour, more laughing. Everyone has gone through various things through life, losing brothers and sisters, friends, marriage breakups and now everyone is going through their parents growing older. 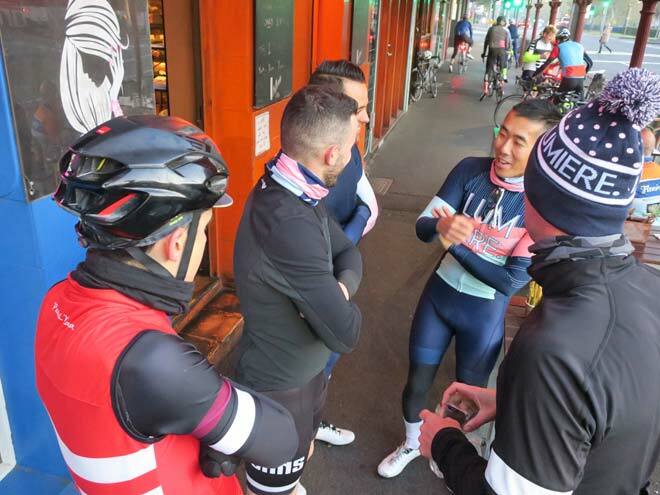 Most of the riders will ride together on the weekend so on the long rides, when you are next to another rider, you get a chance to talk to one of your mates; it's great. For Claude, he is always seeing new faces, but there are a lot of people who come and go. 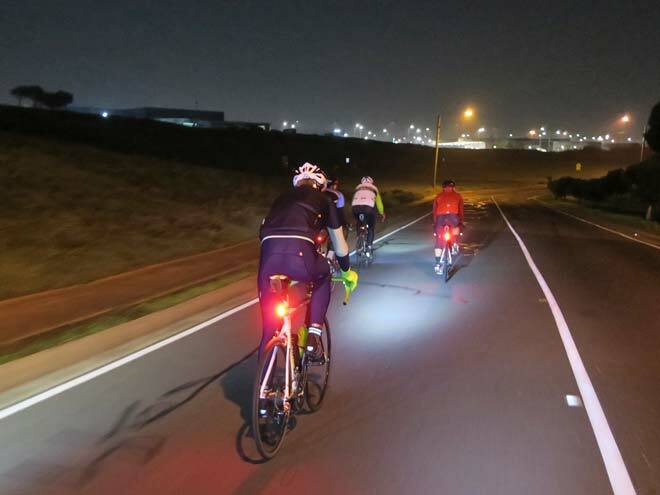 People end up working interstate and people move back into the area with up to 45 riders on the Christmas ride (complete with reindeer antlers and ears and flashing lights). 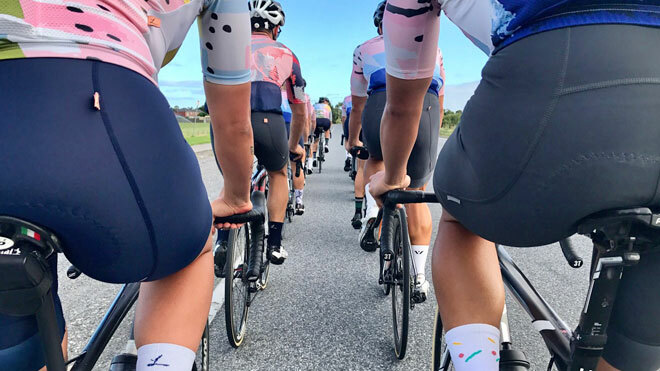 It continues to grow in leaps and bounds; in the past two years, it has grown from a core of 15 consistent members to 40-50 riders during summer broken into 3 groups, i.e. 5:20, 5:25 and 5:30 with 10-15 in each group of all different ages of both male and female. Everyone looks after everyone, it’s really good. Aaron is the son of Luke Mulkearns and a very passionate member of NPR for the past 9 years. 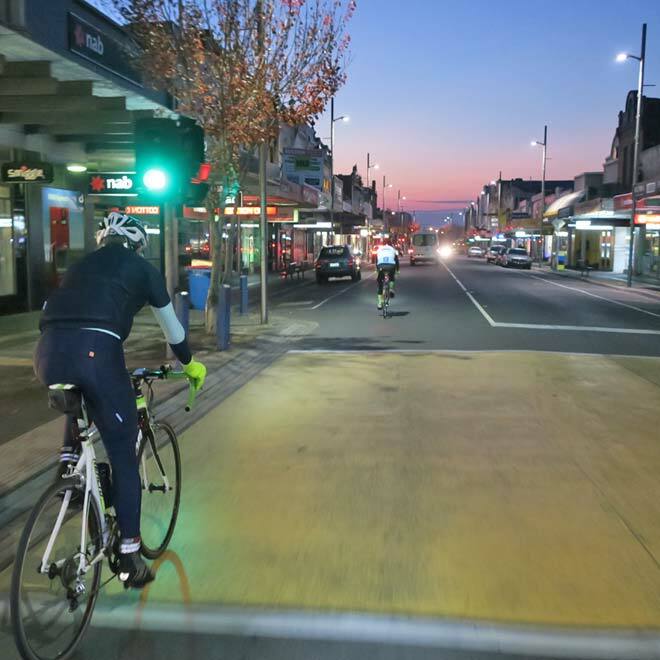 Seeing his "old man" riding the early mornings was appealing except it clashed with his footy training in the evenings, plus he didn't have a bike or the gear. 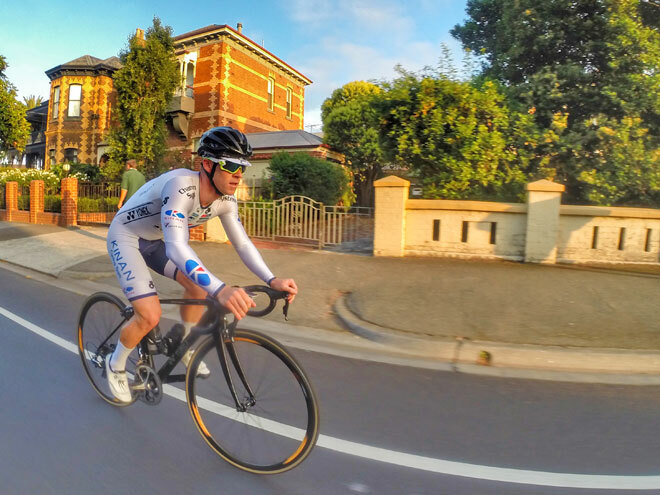 Aaron had the endurance (great for cycling) but after finishing up with footy he blew out to 83kgs however, since cycling he has lost 20kgs and hovers now around 67-68kgs. 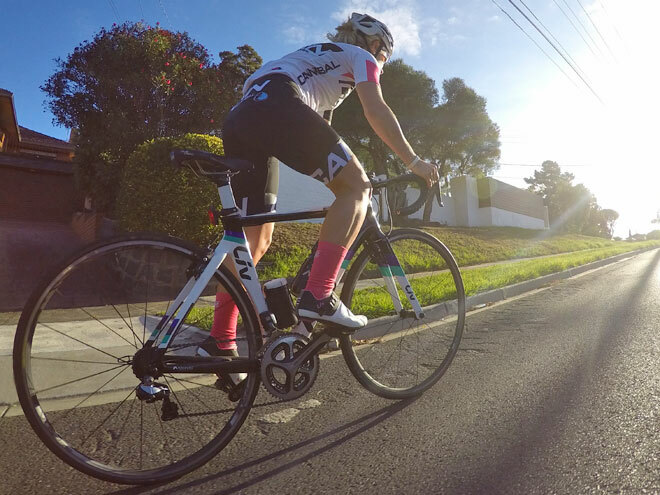 The transition to cycling from footy has been a whole new experience. 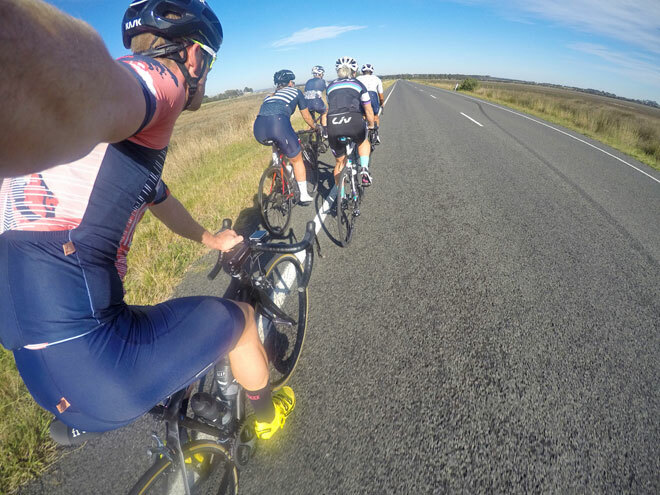 Even though you may be riding 200-300kms/week and 400kms in summer, you don't realise you’re working that hard as you’re sitting next to someone, the camaraderie, it’s really good socially, I think that's the main thing that draws me back every morning. 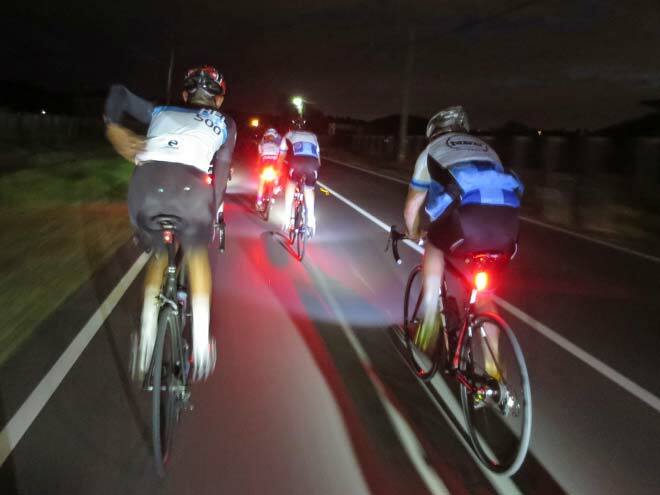 The partners also ride in the fast group and can hold their own and can be pretty hard to beat. They ride NRS (National Road Series), VRS (Victorian Road Series) and race A grade, so these girls are very strong riders. 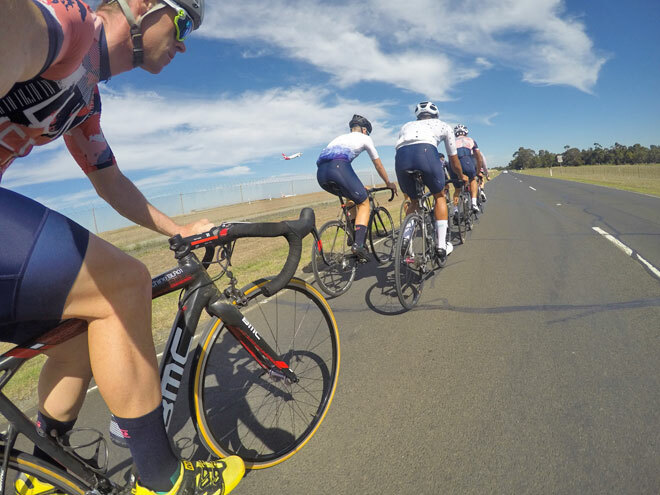 Other elite NRS riders include Nick Katsonis and James Pane from Pats Veg, plus a few A graders riding at the top tier both locally, club and nationally. They are not far off from being on a Pro team, they look out for you and give you tips. 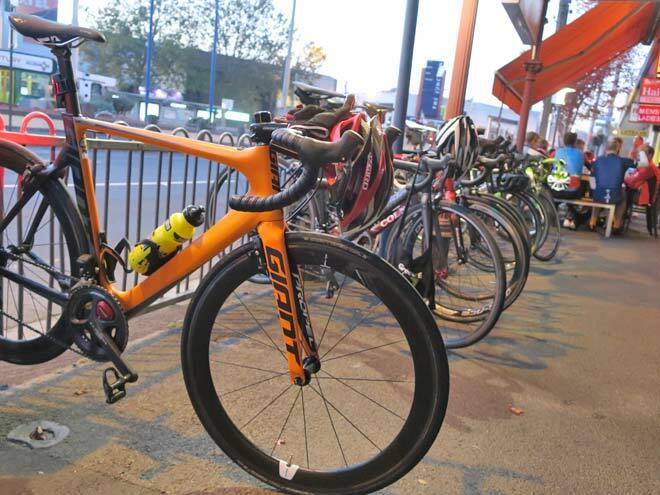 One of the riders, Allan Nash, used to be involved with the Drapac Continental team and the group has benefited when the team updated their bikes and kit. 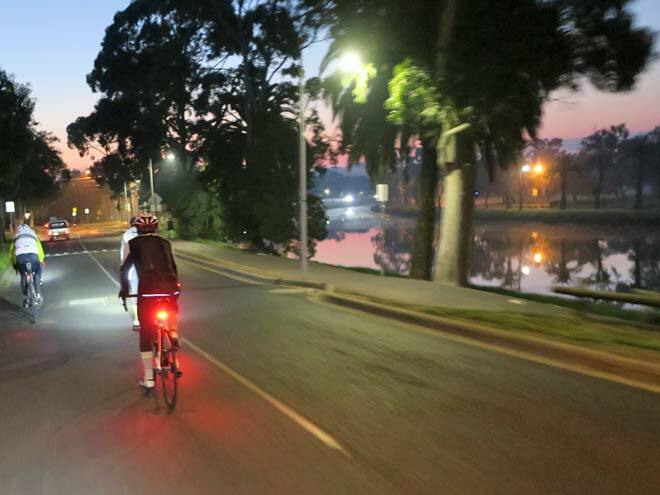 For Aaron, he learned everything about riding from chatting around having a coffee. You pick up all of the tricks of the trade, your signalling, the calls. Some of the guys have been cycling since they were kids, there are 65 and 70 year olds who ride and are fit as a fiddle; the knowledge of these people is amazing. 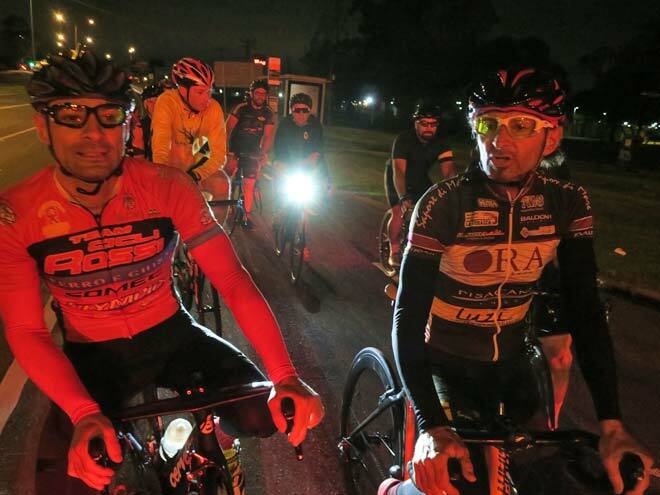 They're brilliant, brilliant men from all different walks of life in their own professions and the younger riders look up to them with the utmost respect. 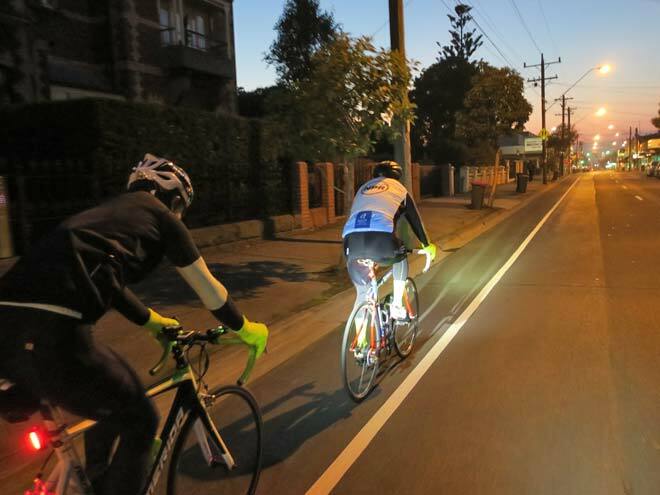 As the group starts super early, it means that riders can finish early and continue on with their day which includes a few riders from the Bayside suburb of St Kilda who drive over and park their car. 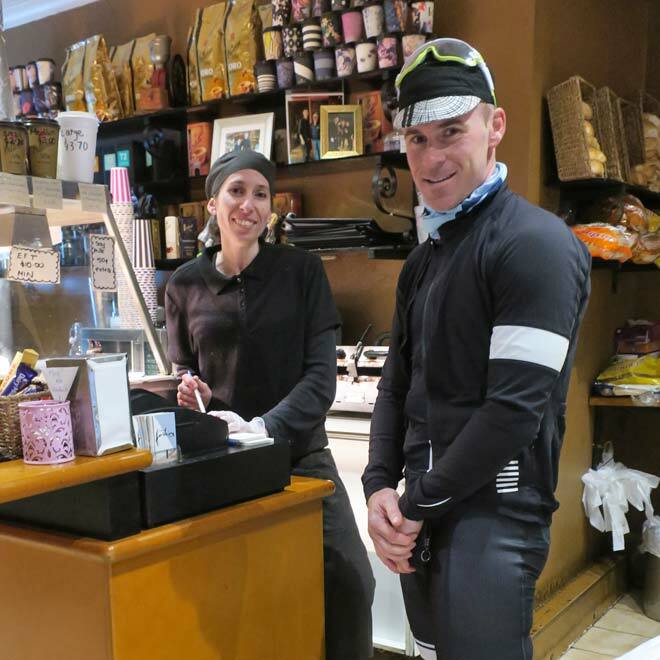 Sal, the owner of cafe 2000, looks after the bunch and one of the best parts of the ride is the end of it; getting together and talking, the banter and having a chin wag before heading off to work and face our normal days.